A day after Calgary police found three people slain in two different locations, the force says the killings occurred almost a week apart. 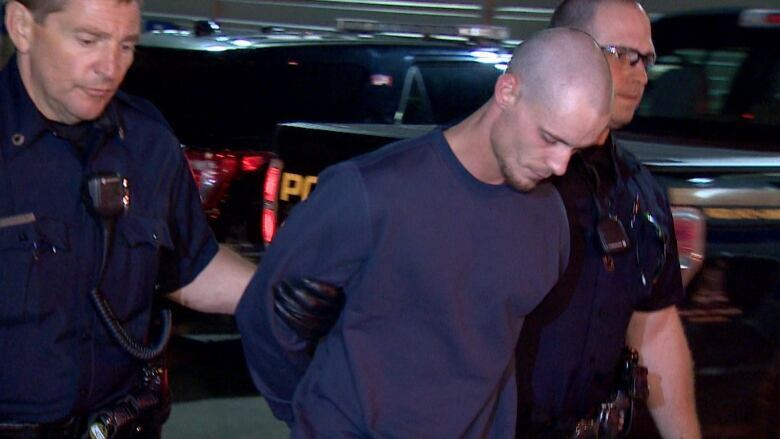 Dustin Duthie, 25, has been charged with three counts of second-degree murder in the deaths of Taylor Toller, Shawn Boshuck and Alan Pennylegion. 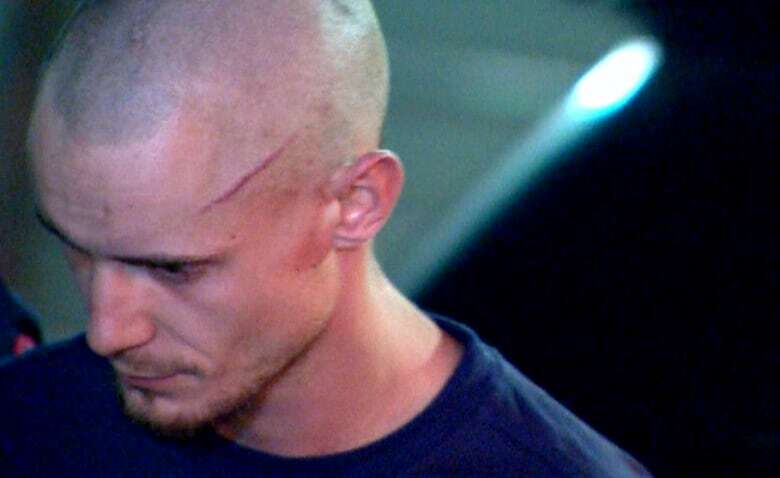 CBC News has confirmed that the dead are the accused's girlfriend, his mother and stepfather. A duty counsel lawyer representing Duthie appeared before a justice of the peace Wednesday morning in Calgary. Police found a woman's body at a condo complex in the 2000 block of Applevillage Court S.E. in Applewood Park, a neighbourhood on the city's outskirts, after receiving a check-on-welfare call about two locations at around 11 a.m. MT Tuesday. Sources told CBC News that the call to police was made by Duthie. 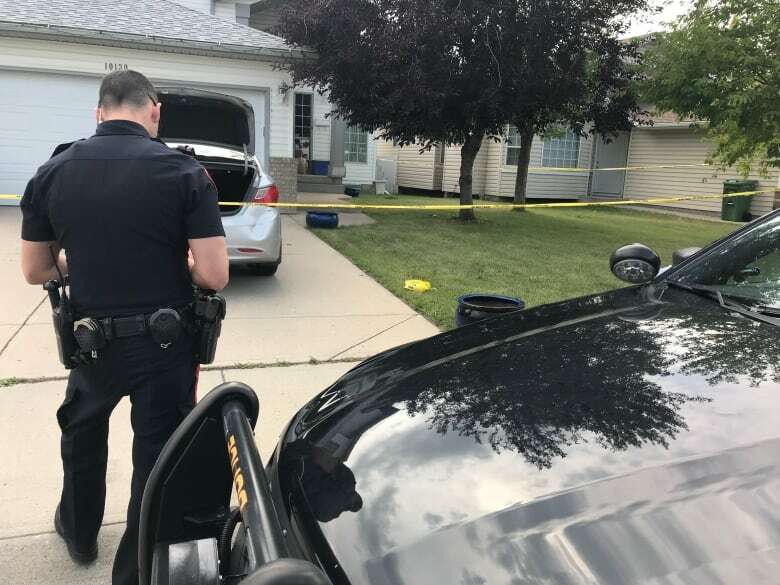 At a second location, in the 10100 block of Hidden Valley Drive N.W., more than 20 kilometres to the northwest, police found two more homicide victims — a man and a woman. City records list the owners of that residence as Boshuck and Pennylegion. Police said Tuesday that Duthie was taken into custody at one of the two locations, but didn't specify which one. A personal property registry search shows Duthie co-owns a car, a 2012 Hyundai Sonata, with Boshuck, and a car matching that description was seen parked in front of the home at Hidden Valley Drive. Neighbour Brian Ng said an older couple have lived at the Hidden Valley home for about two years, and a young man in his 20s was often seen driving the silver car. "That silver car is in and out almost every hour of the day," Ng said. At Wednesday's hearing, court heard that Duthie is accused of killing Toller on July 25 and Boshuck and Pennylegion on July 31. Police have not revealed how the three were killed. A friend of Pennylegion's describes him as a "good guy" who was always positive. "I can't express how much of a mentor he was," said Pat Labrash, who is team president of the Calgary Hilltoppers Football Association. "He was a great mentor to me and any kid that he ever touched on a football field as far as football knowledge." Pennylegion was a volunteer coach with the junior football team for two seasons. He and Boshuck had previous relationships and five children, including a son together who played football in Calgary. Labrash said he's still processing the news. "It's devastating. It's a huge loss, not only to the Calgary football association community, it's a huge loss to football [in] Canada period." Pennylegion worked for Keurig Canada, which said it is "extremely saddened" by the loss. "He was a tenacious, successful and dedicated business development representative," the coffee giant said in a statement to CBC News. "He had the ability to build great relationships and connect with people." Boshuck was described as a well-respected nurse in the community and a devoted wife. "I was just in disbelief. I was literally texting with her on Monday. There was no indication that anything was wrong," said Boshuck's long-time friend and former co-worker Jenni Jerke. Jerke said the pair were a "loving, fun couple." "I want Calgary and the world to know that Shawn was selfless and giving … and that anyone that crossed her path and got to know her would have been not just just lucky but absolutely blessed," Jerke said. "She was such a bright person." She was the daughter of Canadian speed skater and Sports Hall of Fame recipient Wally Boshuck. Duthie once posted a photo on social media of himself in front of an arena named in his grandfather's honour. He is being held at the Rockyview General Hospital and is under a suicide watch, CBC News has learned. His next court date is set for Aug. 8. He will see a forensic psychologist before that appearance to determine whether a 30-day psychological assessment should be carried out. Autopsies will be carried out on the bodies by the Office of the Chief Medical Examiner.